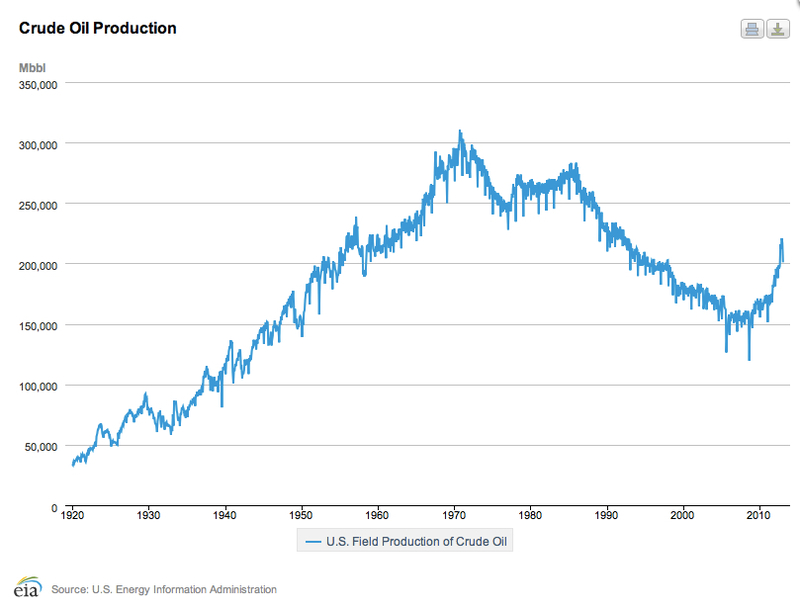 As can be seen from the chart below (click for larger image, link to original data here), the fracking of tight oil formations in the U.S. has made a major impact on U.S. crude production. The critical question is whether the current large year-on-year percentage growth rates in oil production can be sustained (click for larger image). The year-on-year increase in production peaked in October 2012 at 18.2%, but April 2013 also recorded a very strong 16.9% year-on-year jump. 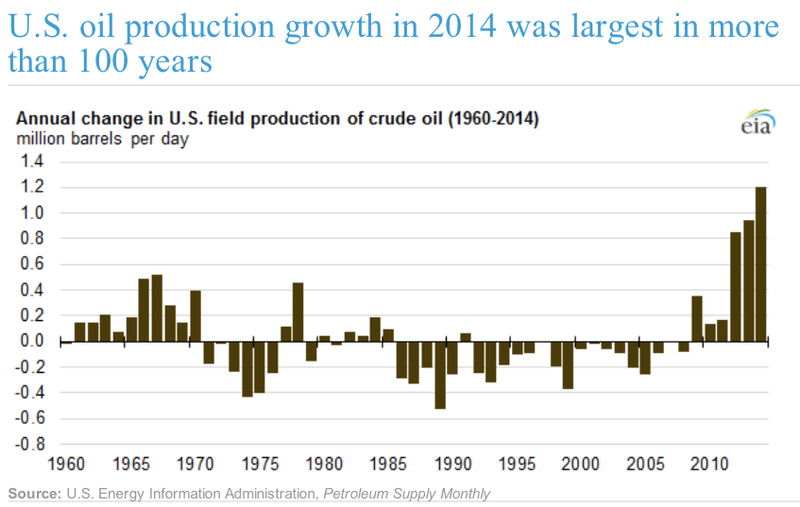 Currently, year-on-year oil production gains remain robust, in contrast with U.S. natural gas trends. Given crude oil is a globally traded commodity, U.S. production numbers need to be placed in the context of world supply and demand. In its latest Oil Market Report dated 12 June 2013, the International Energy Agency (IEA) recorded global ‘all liquids’ production of 91.3 million bpd for May 2013, down marginally from the previous month, but up 0.2 million bpd over May 2012. 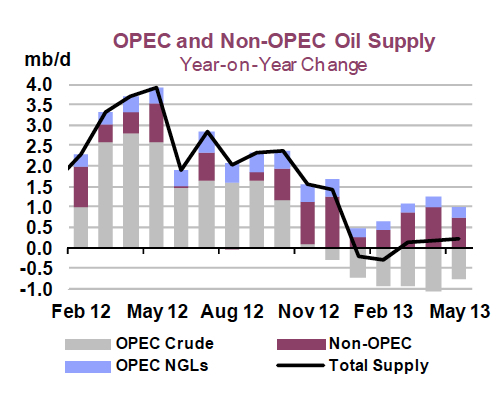 The June 2013 Oil Market Report can be found here. Full quarterly IEA world supply-and-demand figures, including Q3 2013 estimates, can be found here.